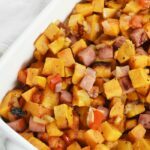 A sweet and savory sweet potato hash with Hatfield Ham Steaks made on a sheet pan. 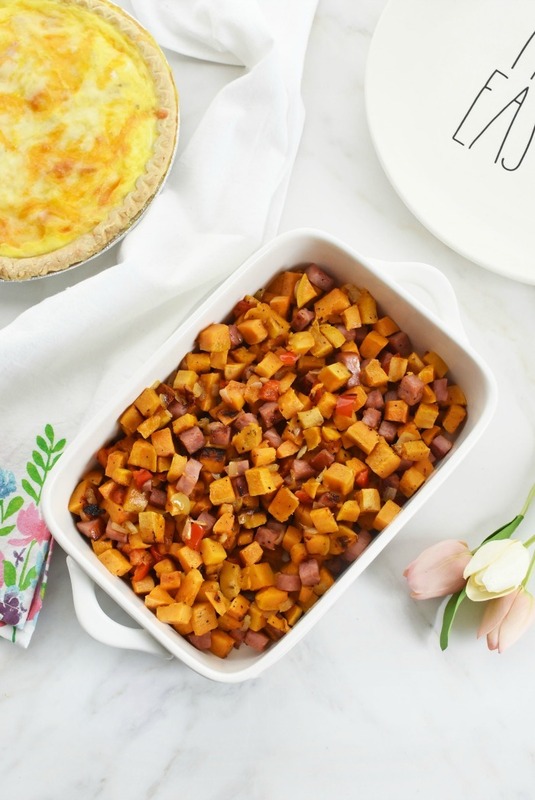 This 30 minute breakfast recipe is sure to spark some conversation at your Easter brunch! I can’t believe Easter is already this week! My, has time flown by! I still need to stuff the kid’s Easter eggs and shrink wrap their baskets! But, at least I have my menu all ready to go for this Easter Sunday! 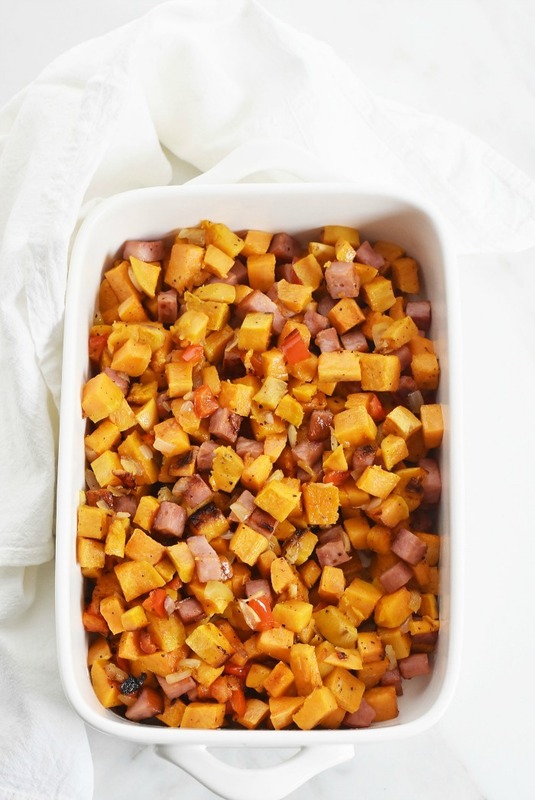 I plan on making a delicious ham & potato quiche as well as this lovely Sweet Potato Hash with Hatfield Cubed Ham Steaks. If you have never had the pleasure of experiencing homemade hash, you are simply missing out! 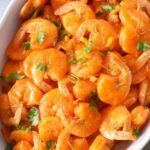 This tasty meal can be eaten as a breakfast side dish or as the main meal since it contains both a protein and starch. 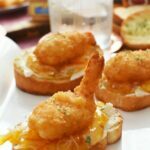 You could even enjoy it with a fried egg over easy! 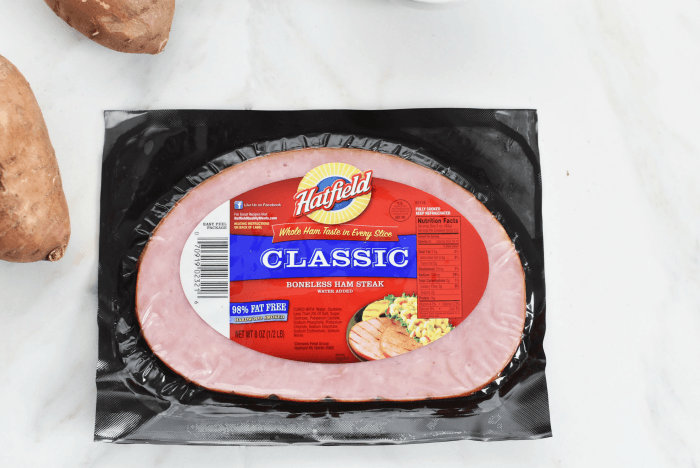 My favorite ham steaks have always been the Hatfield Classic Ham Steaks regardless of this sponsorship. They are not overly salty like the competition, retain moisture, and are not rubbery. 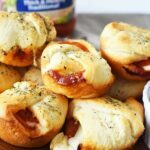 They are delish for breakfast, lunch or dinner and fully cooked making them super versatile. 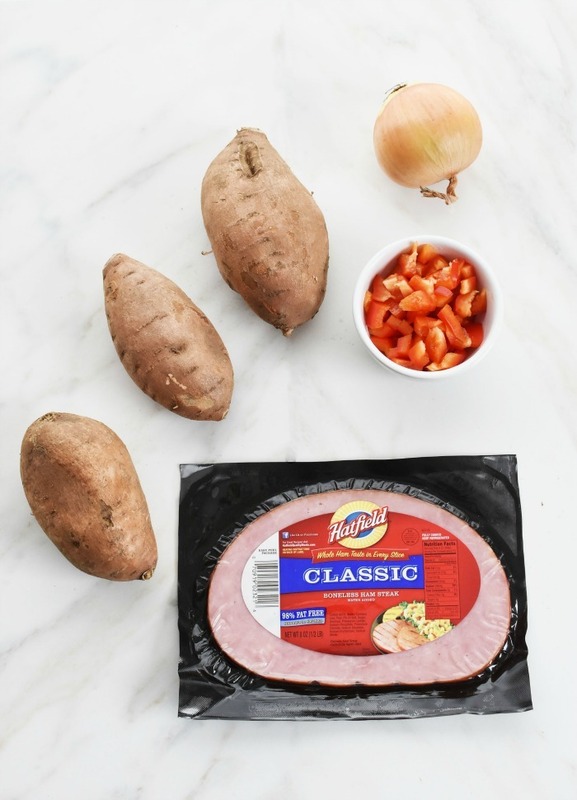 Now that we know the best Easter brunches start with ethically raised Hatfield Ham Steaks, be sure to pick some up at Stop & Shop to celebrate Easter brunch, or any meal! I used to pan-fry my hash in a skillet which was quite frankly time consuming. It would also make a super mess & sometimes even produce mushy potatoes which we didn’t like. 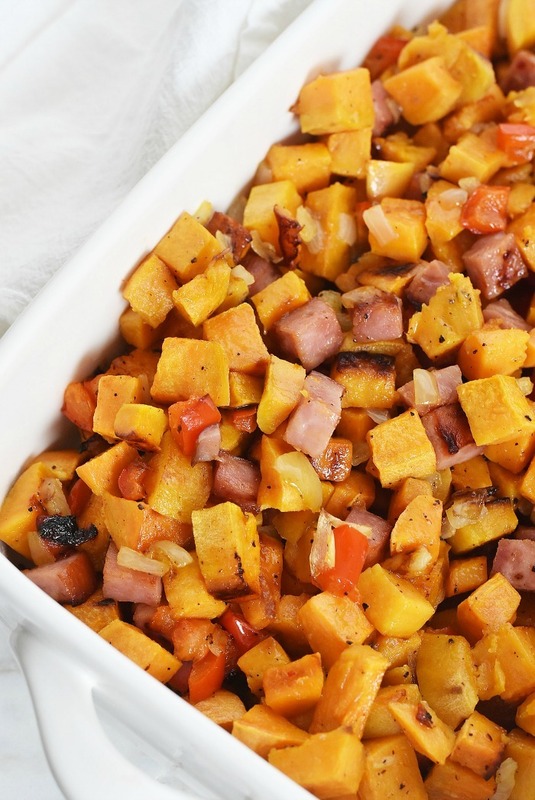 So, I decided to bake my sweet potato and ham hash on a parchment-lined baking sheet at 425 degrees f. for 30-35 minutes and it was pure perfection!! The onions didn’t burn, the potatoes were not mushy and the ham was perfectly cooked. Plus, clean up was a cinch since the parchment collected the excess oil. *Please note, you have to make sure your parchment paper or liner can tolerate higher temperatures. If yours only goes up to 410-420 f. you will just need to add on another 5-10 minutes of cooking time. 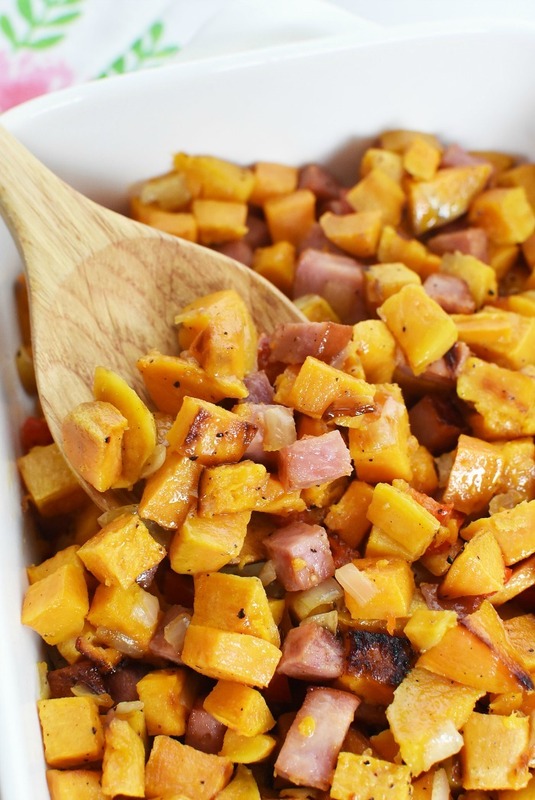 Get the printable Sweet Potato Hash with Hatfield Ham Steaks recipe below! 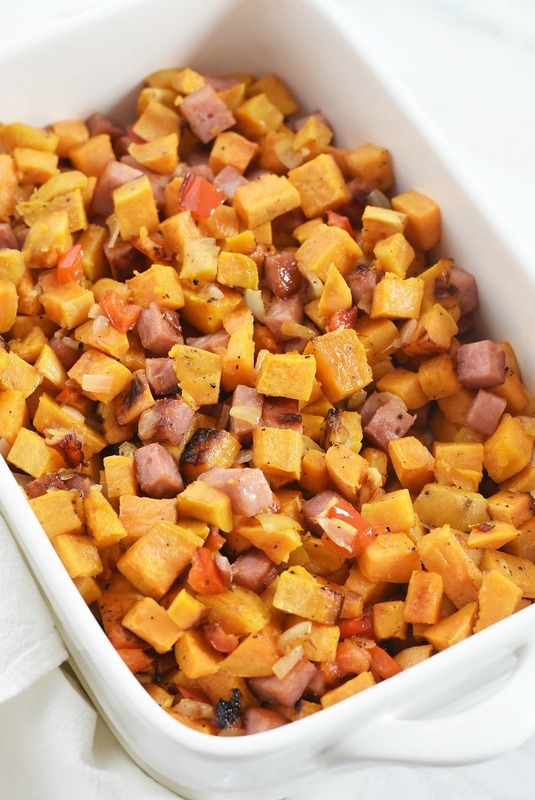 A sweet and savory sweet potato hash with Hatfield cubed Ham Steaks made on a sheet pan. 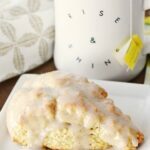 This 30 minute breakfast recipe is sure to spark some conversation at your Easter brunch! 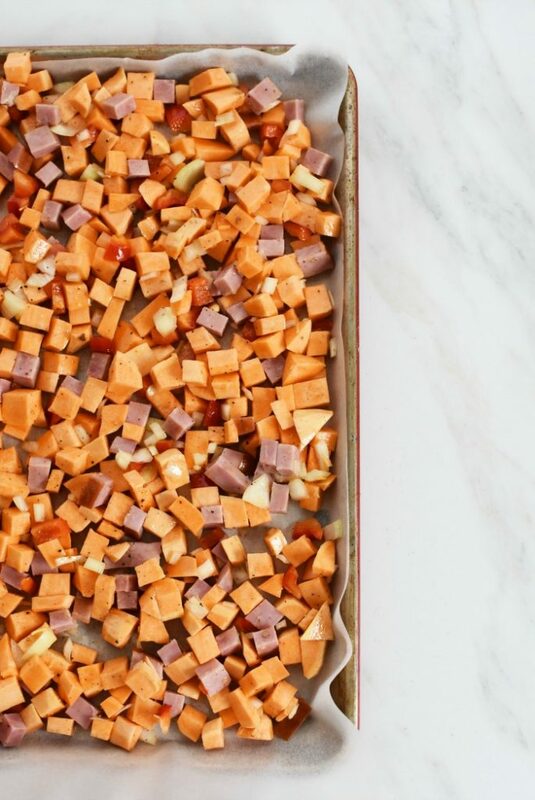 Peel and dice sweet potatoes carefully and add to a large bowl. Dice onion, & red pepper- add it to the potatoes. 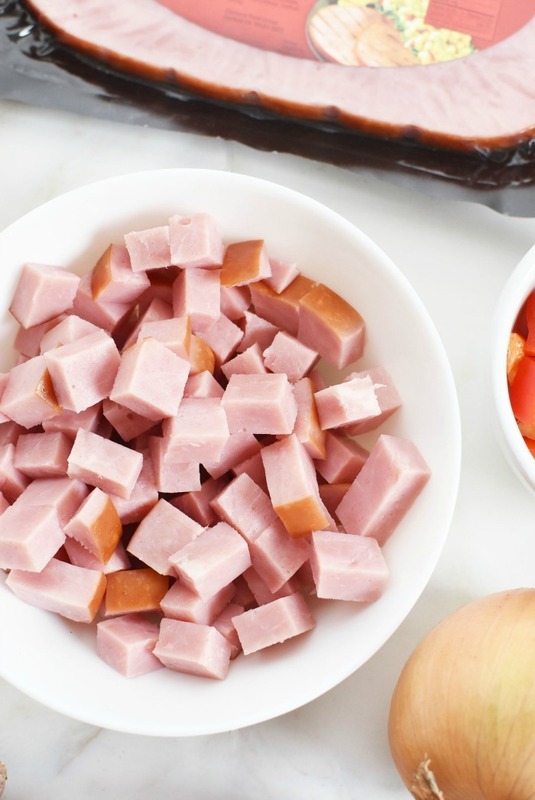 Cube ham into small pieces and add it to the bowl with the potatoes and onion. Add in oil and spices, and toss. Line a large baking sheet with parchment paper that is safe up to 425 degrees f.
Pour over raw hash and spread into one even layer. 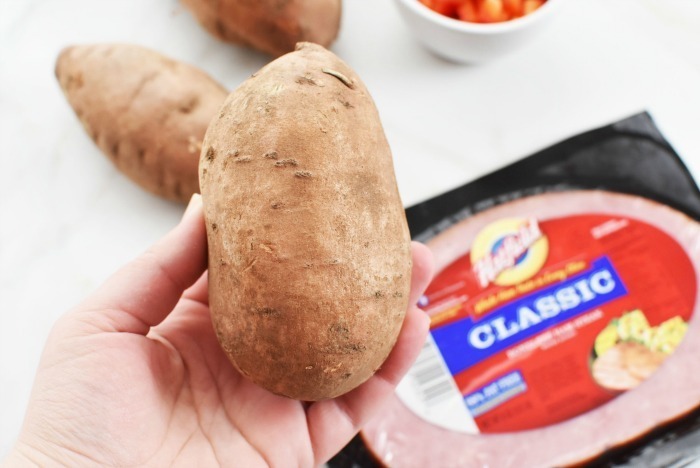 Bake for 30-35 minutes or until potatoes are fork tender. 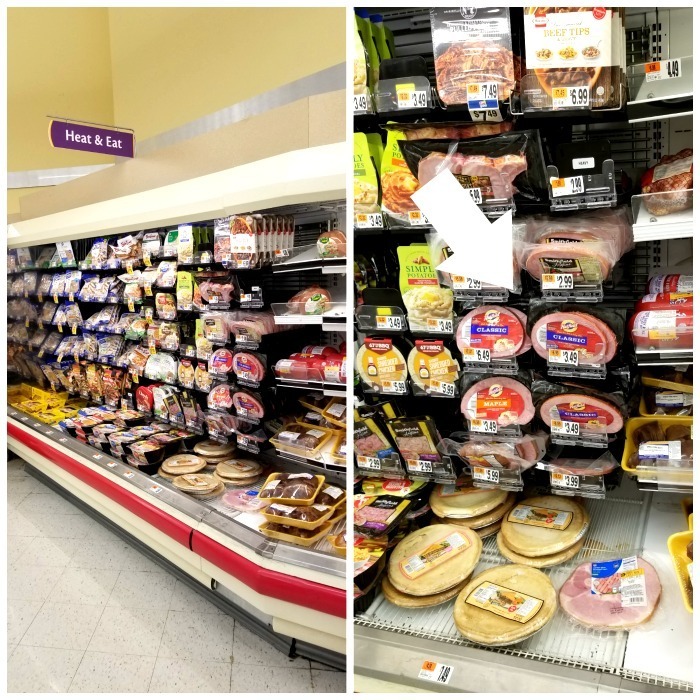 Find Hatfield Ham Steaks at Stop & Shop in the meat section near the prepacked meats. Also find these at Giant Carlisle, Giant Landover, Giant Eagle, Hannaford, ShopRite, Acme, and Weis. 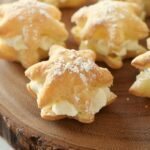 What are you making for Easter brunch this year?